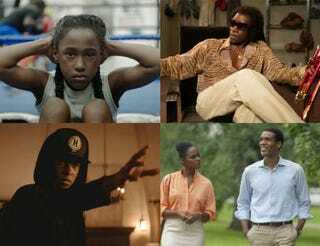 Top row: The Fits (Paul Yee); Miles Ahead (courtesy of the Sundance Institute). Bottom row: Sleight (courtesy of Sleight); Southside With You (Pat Scola). Tika Sumpter and Parker Sawyers in Southside With You.